To all current and interested Celcom Broadband users, now Celcom has new enhanced plans and offerings. Now you can enjoy higher speeds and volume quota! No worries about exceeding your quota as new plans comes with 1GB FREE additional quota with free speed upgrades and you can surf freely with up to 10GB data per month. Listen to all the FREE music they love ! Celcom Broadband appreciates everyone’s tastes in music. There is something for everyone, every lifestyle and preference. Therefore, current & new subscribers can download free music from ViewCube, Celcom’s very own new music player! You can get the latest music at Musicube now at Celcom. You can choose from different genres consisting of a wide variety of local and international music. Net Safe leaves you with complete peace-of-mind every time you're online. It is an Antivirus, Firewall,Browsing Protection, Anti-Spyware & Anti-Phishing, Anti-Spam, Parental Control and Real-Time Protection tool for you to have secure internet connection. Good that it updates you automatically whenever it detects an online threat. From as low as RM4.99/month only for 1 user and RM6.99/month for 3 users. 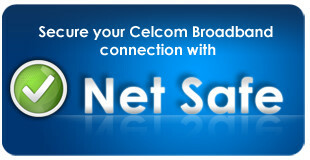 More info at Celcom Broadband Net Safe. Not only that, get their hands on FREE limited edition USB modems! 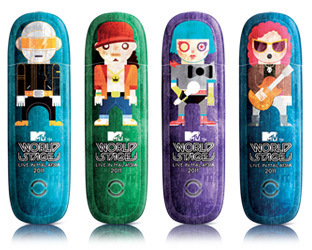 From 22 July onwards, new subscribers can get their hands on the latest MTV World Stage USB modems. You can choose from 4 cool designs according to different music genres – rock, hip hop, electro and pop. These limited edition USB modems are available while stocks last only! Check out the newly Celcom Broadband site at www.celcom.com.my/broadband for more information.